Chris Razo competed at Illinois State University where he was drafted by the Milwaukee Brewers in the 24th round in 2013. 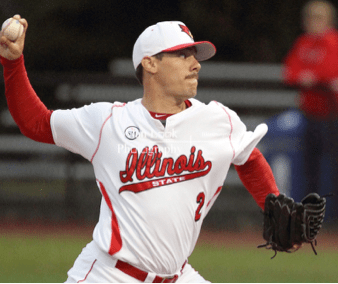 While at Illinois State, Razo was selected to the MVC All-Conference first team is the only player in University history to win Pitcher of the Year in the Missouri Valley Conference. Razo also helped lead the team to a school record 39 wins and the first and only MVC outright title.